Getting a new, more capacious external hard drive for Mac is good idea. Let’s admit it: cloud storages aren’t for everybody. After all, a “cloud” is just another term for somebody else’s computer. And they cost money. On the other hand, you could upgrade your Mac’s current drive but this is a too extreme approach in complexity. So below we’ve collected a few tips to help you choose the best external hard drive for Mac so you can get most value and a bigger bang for your buck. External storage solutions come in these 2 varieties. SSD (solid state drives) are like big USB flash drives with multiple memory chips to store data, whereas HDDs are rotating magnetic disks. If you need more room to store gigabytes of data (videos or photos), you should consider getting an HDD. If your purpose is to get more memory for your Mac’s operating system and apps, then an SSD would be just the right option. To make your choice even trickier, there also hybrid drives. These are regular HDDs with an SSD memory block attached, so you get the best of both worlds — speed and capacity within one device. At this point, think why do you need an external hard drive for your Mac in the first place: if it’s for backup and storing the sensitive data, simply go with an HDD. Before getting an external Mac storage device, plow through the garbage on your existing one. This might save you dozens of gigabytes worth of data. For the most part, it’s old downloads, large media files (and their duplicates), application cache, old iOS backups and, finally, old apps you never use. In my experience, the best cleanup results are achieved with a dedicated app. 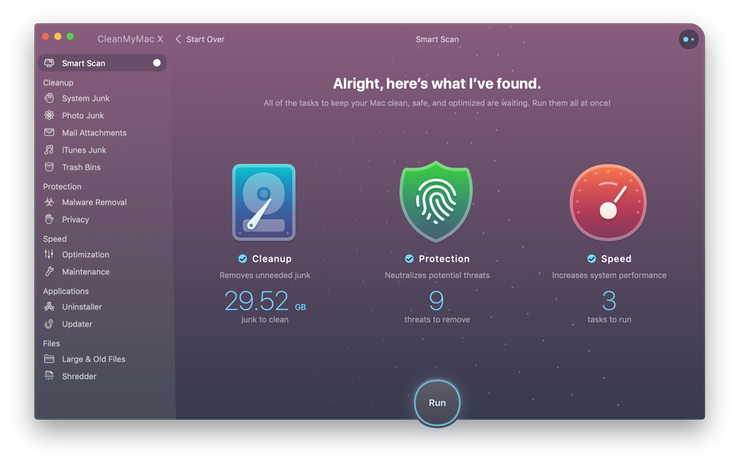 I was skeptical about Mac cleaning apps until I came across CleanMyMac X, as it’s the easiest of all. And really does the job as advertised. My first scan got me around 50 GB back under wrongly deleted volume — I was wondering where my disk space was going! Here you can download the free version from developer’s site. There are lots of alternatives even within the HDD domain. If you need to process anything over 2 TB of storage, consider a NAS drive. Network-Attached-Storage (NAS) is a shared storage connected to your network router that everyone within your network can access. It’s a good solution for manipulating large size data, like your media backups. How do they work? NAS boxes are connected to your router via an Ethernet cable. It’s worth mentioning, that some NAS drives are Mac-friendly and pre-configured to store Mac’s native Time Machine backups. This comes handy to free your macOS from extra copies of itself. 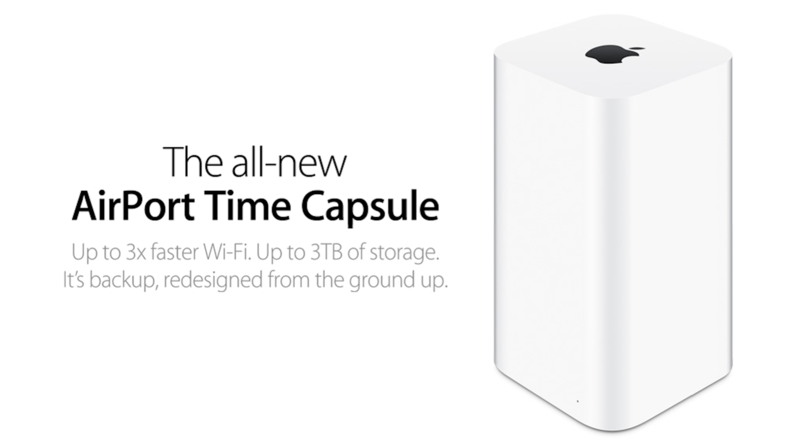 Apple’s Airport Time Capsule (though now discontinued by Apple) is a pretty expensive NAS solution, basically, a WI-FI router and NAS drive in one body. What’s good about it is its native integration with Mac, which makes the messy backup business at least partly human. It can even backup from with multiple Mac hard drives within your network. Having to choose external hard drive for Mac, take a minute to learn about RAID drives. RAID are multiple hard drives that can be combined in one set. If combined properly, 2 hard drives may double write and read speeds because the data gets split between the two. Variations of RAIDs (RAID0, RAID5 etc) specify how exactly the data is split between your Mac external hard drive. One more use is protection against data loss. Should one drive fail for some reason, the data will be duplicated on a second one. Also, the space issue. 2 hard disks will store 2 times more data, so from your Mac’s perspective, it will look like one single HDD twice as capacious. Should you bother with RAID when choosing best external hard drive for Mac? Probably not, unless you’re using a ton of data and a quick data extraction is critical to you. For individual use, standard HDD will do just fine. 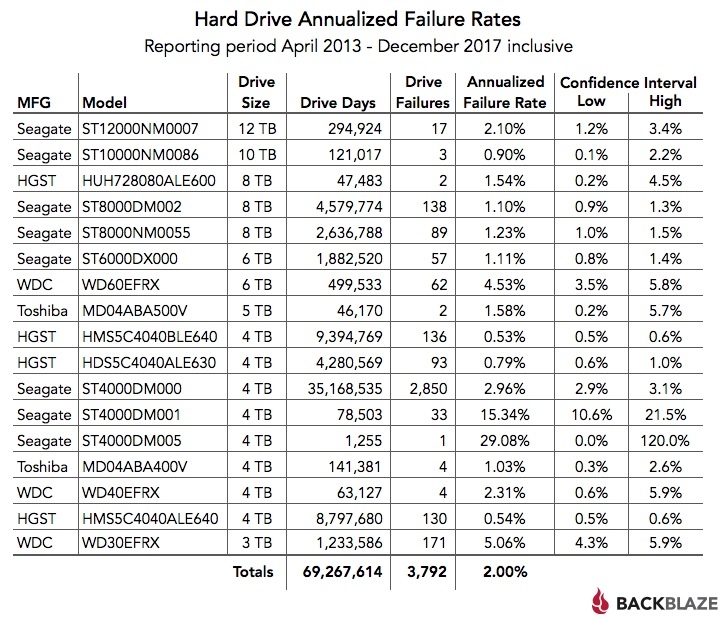 Each manufacturer claims their HDD is the most reliable but the fact is, some hard drives fail more often than others. AFR (annual failure rate) is a scientific method to prove that. According to Google, annual failure rate is 8% for drives after 2 years in service. In other words, one out of 12 drives will fail. Here is a chart by Backblaze that should give you an idea which team wins in the reliability tournament. As you can see, even for one manufacturer the failure rate varies from model to model. It’s not as if it’s Formula One case, but HDD spindle speed issue is pretty vital. There 4 standard options: 5400, 7200, 10000, 15000 rpm. If you make music or videos on your Mac, you might go for the best speed available on the market which is 10.000 — to 15.000 rpm. Though, the faster an external drive for Mac is, the less capacity it offers. Your external Mac hard drive will have many connection options. Anything lower than USB 3.0 is already outdated nowadays, so it should be your minimal starting point. 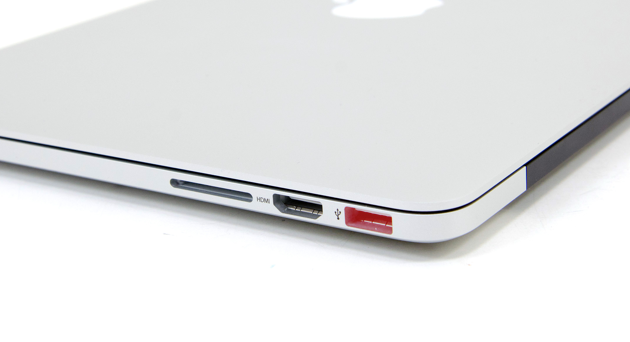 Thunderbolt 3 or USB Type-C is the fastest port on Mac. It’s advertised as being able to copy 14 hours of HD video in less than a minute. So make sure your portable hard-drive for Mac is Thunderbolt-3 compatible. Depending on their physical size there are several external drive options. We assume you are not a company and don’t need the large enterprise-class drive (used for running servers). This means you’ll likely be choosing between standard desktop-class drive (with spinning platters) and slimmer SSD options, more resembling USB drives. Standard desktop drives offer capacities of around 8 TB which should be perfect to store your movies and photos collection. These desktop-class external hard drives for Mac rely on wall power supply and they lack portability. Portable hard drives for Mac, on the other hand, are powered by your computer and can be surprisingly tiny nowadays. Here’s the golden formula to keep in mind: considering capacity, size and cheap price, be prepared that you can’t have all 3 at the same time. Want your drive to be very small and very capacious? Then, there’s no way it can be cheap. And likewise, if you aim at a cheap and capacious drive, it can’t possibly be small in size — you get the idea. 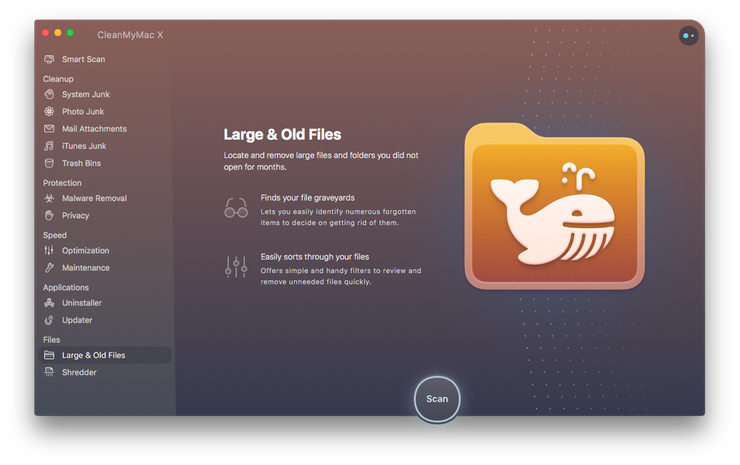 Locate large hidden files on your Mac with CleanMyMac X. You can download the free version of the app here. I hope this article turned out to be helpful. 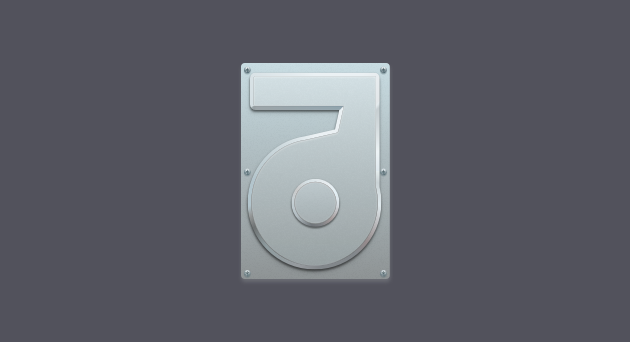 To share it with your Mac user friends, use the button below. How to get your Mac Bluetooth working?